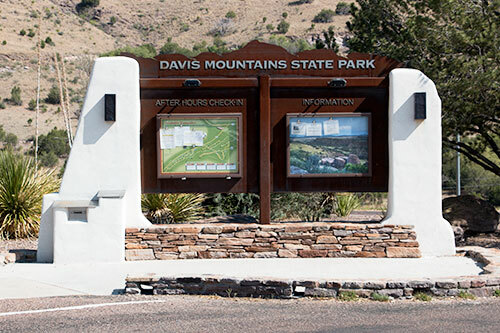 Davis Mountains State Park is one of the most popular parks in the state park system. That is somewhat surprising considering the distance from this least populated of Texas to the most populated area of the state. It is also my favorite state park and I've been to most of them. I have a lot of great memories from this park. When I lived in West Texas I camped here often. I once brought an entire Girl Scout Troop to the park to observe the 1986 appearance of Halley's Comet. The park and skyline drive was packed. This area of Texas is one of the darkest areas in the country. This park, like many other state parks, was originally constructed by the Civilian Conservation Corp (CCC). They built the campgrounds and other structures. They also built a road up into the mountains located on the eastern end of the property. This road, appropriately called Skyline Drive, is a place of spectacular views of the Davis Mountains. In addition to the spectacular Skyline Drive there are numerous hiking trails and mountain bike trails. Some are very challenging. 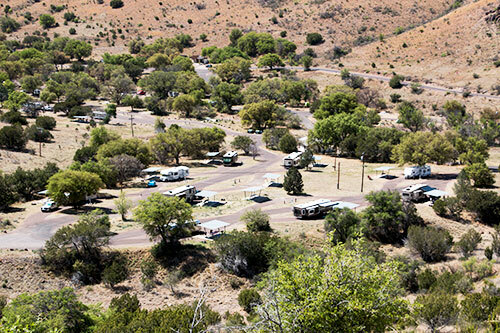 In the Limpia Canyon primitive camping area there six primitive campsites and six primitive equestrian campsites complete with beautiful equestrian trails up to a scenic trail highpoint. Along with other wildlife, bird watching is a favorite activity. There are sheltered viewing areas in the park where you can spend hour viewing different types of birds as they come in to feed and water. 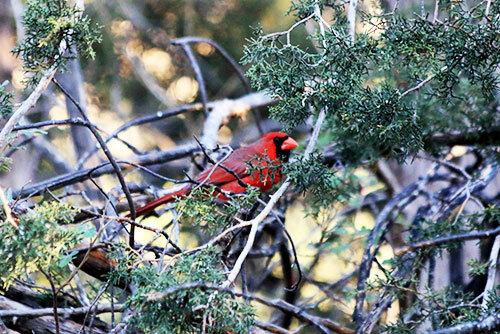 Birds and other wildlife can be viewed all over the par and on the trails. One work of caution, Black Bears and Mountain Lions have been to be infrequent visitors to the park. How far away is this wonderful state park?